Motion sensors are a home security must-have. They can secure an entire room with just one sensor, effectively saving you the stress and the money of a more complicated security system. They’re also easy to install and use. Read this article to learn all about how ADT motion sensors work. Motion sensors can secure an entire room with just one sensor, effectively saving you the stress and the money of a more complicated security system. How Do ADT Motion Sensors Work? 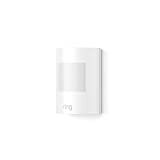 ADT motion sensors pick up on many movements with use of passive infrared technology. They are able to detect the heat signature (or the infrared energy, as some in the infrared business put it). The heat signature must have a temperature above absolute zero, or more specifically, above -459.67 degrees F, for it to detect the object and subsequent motion. To be more specific, ADT motion sensors can sense with a range of 8-12 micrometers. That means that it can detect the range of the temperature of human skin (around 93-95 degrees). Keep in mind that infrared technology cannot pass through glass. This means that sensors won’t wrongly pick up a motion outside a glass door or window unless the door or window is opened. The change is sudden. This means it won’t detect changes in the heat or cold, but it will be able to detect a change like someone jumping out (or walking in front of) it. The infrared sensor will detect the change and trigger the alarm because of the rapid change in energy. The correct heat signature is present. There isn’t glass blocking it. Some homeowners are worried about their pets accidentally triggering the motion sensors. No fear — cats and dogs don’t weigh enough to trigger motion sensors. Today’s motion sensors (well, the good ones anyway!) have combated the trigger-happy features of the old motion sensors and provided built-in weight measurements to foolproof the system. ADT motion sensors can detect up to 60 or 80-pound animals and bypass these weights as permissible. If the weight is any more than 80 pounds, the alarm is triggered. Why Do I Need Motion Sensors? 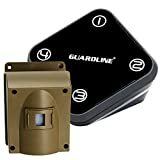 As mentioned, motion sensors are the best bang for your buck and help provide total security for your home. They can cover an entire room, or can even be set up outside. Motion detectors can also be set up at doors and windows (these are usually called door and window sensors instead). 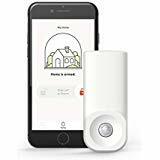 Motion sensors are perfect for wide open spaces, and door and window sensors are great to use if you have a lot of doors and windows. Protect America has motion sensors, too. Our door and window micro sensors offer a flexible solution to motion sensing technology with the ease of a carefree wireless installation. They also have an incredible 5 year battery life and can be quickly installed. A notification signal is sent to your security system whenever a door or window is opened. If you leave your home and arm the system, an intrusion will trigger the alarm. Interested in learning more about monitored home security with us? Our plans range in scope and price from $19.99 to $42.99 per month. Learn about how it works by clicking here or get a free quote from Protect America by calling 1-800-851-5190 today.